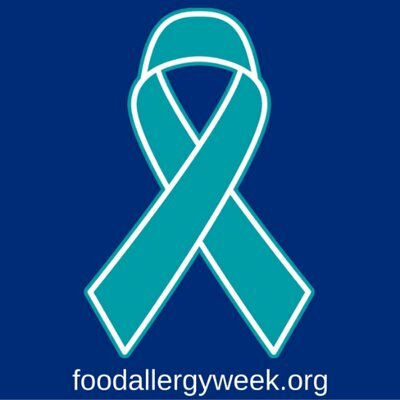 May is Allergy Awareness Month, with this past week being devoted to Food Allergies. It seemed like a good time to examine the humble beginnings of Vegan Baking Up High. I began the blog to work out the kinks of baking dairy-free at high altitude. This reflected my long-standing allergy to dairy. Then, when my husband went vegan a few years later, the blog became vegan. Nowadays I am approached by people with a variety of food allergies and they ask if I have recipes for their dietary needs. For them, I am trying to expand my baking horizons. I realized I was allergic to dairy in 1995 when food allergies weren’t widely accepted or understood. Back then it was almost impossible to find a baked good that came close to resembling anything I would ever want to eat. I am seeing that same pattern of inadequate baked items offered for people with other allergies, such as those to nuts or gluten. I don’t think that anyone should accept sub-par treats just because they have an allergy, so I have widened my experimental baking realm. You will note that I am extending my recipes to include other allergies, such as gluten-free, nut-free and soy-free, in an effort to offer tasty treats for a wide range of allergies. The easiest fix is to use the non-dairy milk alternative you prefer in place of the non-dairy milk listed in a recipe. There will be changes in taste and texture but the recipes should still work. Now I am tackling the task of removing gluten and nuts. It is slow going because of the inherent high altitude challenge, but I and my taste buds will persevere. Vanilla Extracts – Are they all the same? When I was gathering baking ingredients in the kitchen, my husband remarked on the vanilla extract. He noted the fancy bottle I had and told me that once, when he was young, his mother sent him to the store to get vanilla extract. He bought the largest bottle he could with the money he was given, and that suited his mother. I wanted to gag, but didn’t want to be seen as a vanilla snob. Well, maybe I am. You will find no cheap imitation varieties on my shelves. But, in the name of baking science, I thought I should explore vanilla extract further. 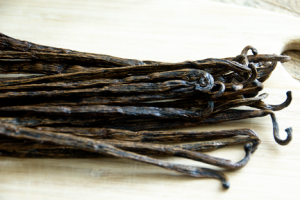 To start, there are many varieties of vanilla beans that are steeped in alcohol to yield the distinct vanilla extract flavor. Frontier, sold in many grocery stores, carries four varieties of the extract, each with subtle differences. There is Tahitian Vanilla with a “fruitier and more floral aroma.” There is also Indonesian Vanilla from “Indonesian vanilla beans (that) are processed in such a way that their intense flavor holds up to cooking well.” Then they offer Papua New Guinea Vanilla which “is extremely sweet, floral and delicately nuanced.” Another type is a versatile Uganda Vanilla that is sweet, rounded and full.” Okay, I did say the differences were subtle. To choose a variety may be a matter of taste and use. I do suppose I am not a complete vanilla extract snob; I do not insist on making my own. (It might be laziness). If you decide to venture into the realm of making your own, check out Frontier Co-op’s recipe here. And please let me know how you did. I bow to your extra efforts taken in the name of baking your best. During a food writing workshop I attended, I mentioned that recipes drive me crazy when the ingredients aren’t listed in order of use. Despite my explanation the looks I got implied that others thought I was insane. But it makes sense, just hear me out. First of all, I retrieve the ingredients from throughout my kitchen and place them on the counter in the order listed in the recipe I am following. That way I can ensure I have all the ingredients ready before I start to cook. Second, I move an ingredient to the side after I’ve used it. If I get interrupted while I am cooking then I don’t have to remember which ingredient I was on. This was the idea that sent withering looks my way, but I have heard another method that’s really odd. The author said she put each ingredient in the bowl in different sections so that she could see each one separately and know if anything was forgotten. Personally I can’t tell baking soda from baking powder when they are placed on top of flour. Lastly, I have seen recipes that forget to mention an ingredient in the steps leaving the cook to wonder how to combine it with the rest. It’s easier for me to proofread my own recipes when I have listed the ingredients in order of use, and I find it easier for someone to follow a recipe that has been written that way. I hope you enjoy my methods and that you use the tip mentioned in the second remark. 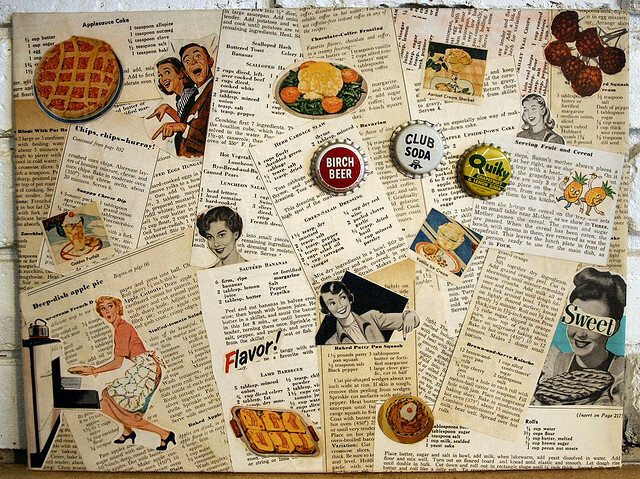 It has saved me on many occasions when the phone rang or my husband really needed me while I was in the middle of creating a masterpiece in the kitchen. It can save your masterpieces, too.